Traditional and tailored have found a most harmonious blend in the Davina collection. 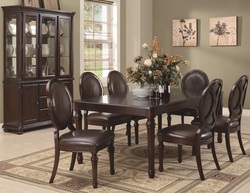 Crafted from select hardwoods and cherry veneers, this collection of dining room essentials welcomes you to take a seat and relax surrounded by comfortable, classic style. 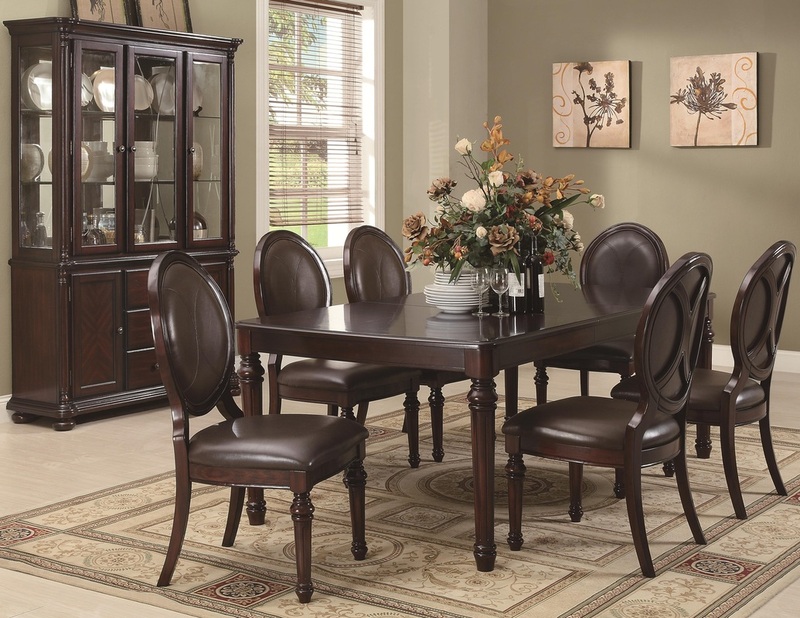 Reverse diamond matched veneer patterns beautify tabletops and door fronts in this collection, while molding details on the china cabinet and oval-back side chairs offer just the right decorative touch. Turned legs on the table and chairs and traditional bun feet on the buffet bring graceful shaping to the overall design. Finished in brown cherry, create a sophisticated space where storage and style work hand-in-hand by bringing home the Davina collection.